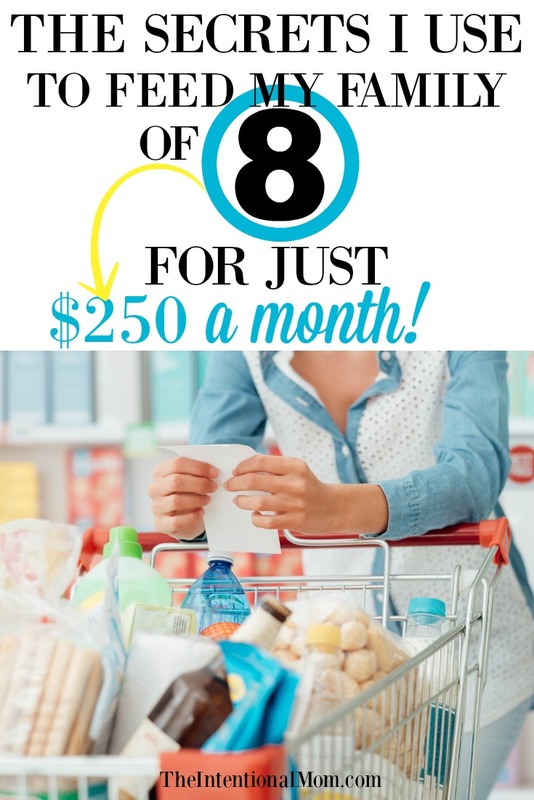 The Secrets I Use to Feed My Family of 8 For Just $250 a Month! 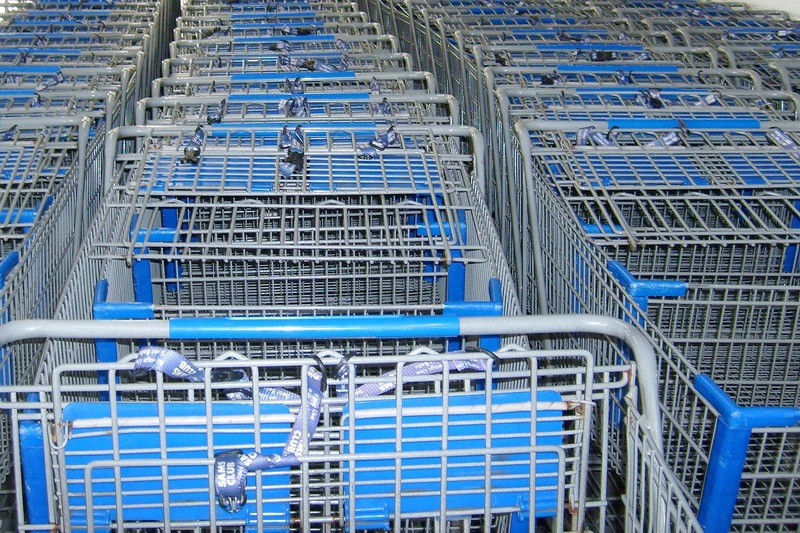 The price of groceries has skyrocketed, and every penny counts. For me, this means that I have had to work harder and shop smarter to get good prices. The truth is, grocery shopping on a budget, even a tight budget like mine, really is possible. As of right now, the baby is not eating foods so I have not counted him in as our ninth person. If you are feeling the squeeze of making every penny count, believe me, I do as well. Groceries are one of the largest categories in a family’s budget, which is why I have mastered the art of feeding my family for pennies on the dollar. Looking to really help every dollar stretch? Sign up for my 5 Day Budget Bootcamp to create an accurate budget in 10 days. 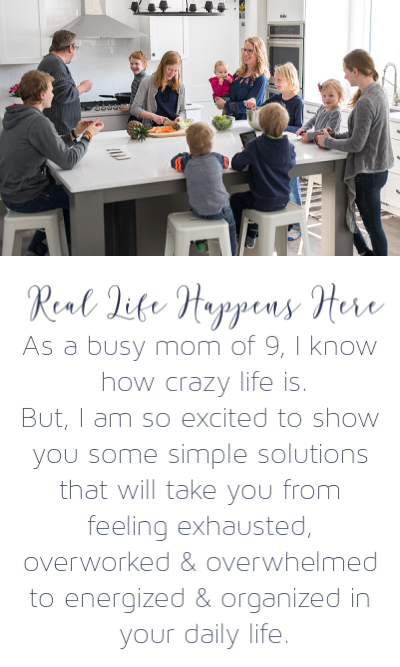 Just enter your email below to get started! These things have taken me time to learn as I have been saving for more than 20 years, but they are secrets that have allowed me to now live debt free. These are the secrets I use to do my grocery shopping on a budget of just $250 a month. Pay attention to the closing times of the deli, meat counter, and bakery. Oftentimes they deeply discount things they will be throwing out in these departments right before they close. I have gotten amazing deals on rotisserie chicken, deli cuts, and baked goods this way. At times stores will have unadvertised deals or clearanced items if there are dented cans, sell by dates that have been reached or are close, packaging issues, or some other reason they are not able to be sold at full price any longer. Much like the other counters I mentioned in number 1, you can ask for things that are near expiration date or for some other reason something they are not up to their standards to be put out. These often don’t make it out into the produce area for the craziest of reasons. It is not. Most stores have signage that gives you the price per ounce, otherwise, figure it out yourself to find the size that is of the best value. Quite often, I am surprised to find what actually is the best deal. The differences in taste and quality are often minimal if any at all. I also know that sometimes the company that produces the name brand items also produce the store brand items, therefore making them the same or only slightly different. Pro tip: Did you know that groceries are usually the biggest expense in the family budget? In many families, more money is spent on groceries than on a home mortgage or rent. 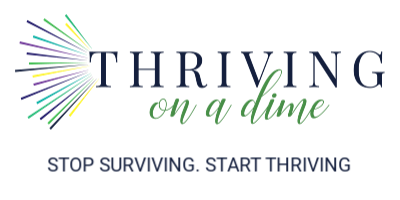 For this reason, we spend more than 12 lessons on all kinds of ways to save on groceries from how to shop, how to plan cost cutting meals, to how to serve meals, and more in our money saving community, Thriving on a Dime. My list has a good, better, and best price listed so I know where a sale price actually falls. A sale does not always mean a stock up price. At the same time, a best price means stock up like crazy. We have a bread outlet nearby that I can get packages of buns at for $.50, packages of bagels are $1.00, and so on. Even if you have to drive a distance, it could be worth it to make the trip, even if only once a month. Bread items freeze well. Don’t think that groceries should only be bought in grocery stores. There are many other places to find groceries both in stores and online. Sometimes they have a loyalty type card that you swipe in order to get the sale price, sometimes they have electronic coupons that you can clip to further sweeten deals and prices. Find out what your stores have and participate. Sometimes they are not. This is where keeping a price list made and with you when you shop is helpful. You can find my list of what to buy at Aldi here. Do your homework on the things you would buy and only buy them in bulk if it is a good deal. Remember, bigger is not always better when it comes to shopping. Read more about saving at Costco HERE. You can also read about saving at ALDI right HERE. HERE is a list of what to buy at ALDI. Just pay your balance off in full before the due date and you come out ahead. Often with these credit cards there are days where you get extra savings when using their credit card. Sometimes they have special sales for credit card holders. There is almost always some kind of incentive that will make it worth your while to have it. If you live where your store doubles coupons, make sure you know when these days are and take advantage of them. Know how you get sale prices at each store, how any loyalty programs work, and whether they offer things like rain checks on sale products they are out of. Sometimes if you spend a certain amount on groceries, you get a price break on gas. These are savings that you can add on to your savings on groceries since the gas savings are a direct result of the grocery purchases you made. These are free to join, and it is an awesome way to get some added savings after you purchase certain items. If they are things you buy anyway, these programs can really save you some money. The savings can add up quickly. One year I used my savings from programs like this to have a pretty awesome Christmas with my family. PRO TIP: You can even get a $10 credit for signing up with Ibotta by using this link HERE. Many of these suggestions take a bit of work either beforehand or in the store, but these are the primary reason I can feed my family of eight on a budget of $250 a month including 10 gallons of milk. Hi! Yes, Aldi is a great place. Here are the things I generally buy at Aldi https://www.theintentionalmom.com/what-to-buy-and-what-not-to-buy-at-aldi/ Checking out the marked down things is a great idea…as long as you have the willpower not to buy something that you don’t need just because it’s marked down…otherwise it doesn’t really matter how great the deal is, it wouldn’t be a great deal, but it sounds like you’ve probably got that under control 🙂 Happy shopping! I would love to read the reasoning behind why you wouldn’t purchase the owns items you listed on your Aldi list. It makes it easier to believe when it’s not just a list. This is the first post I’ve read of yours, so do you stockpile or buy in bulk as opposed to buying when you run out of an item? I assume that would be the reason one would not find the best deals with Aldi cereal (if you only buy when it’s a bogo deal at Publix, for example). Right. You are exactly right. Many of the things that I don’t buy at Aldi I don’t buy there because you can buy name brand items for cheaper when combined with a sale and a coupon at a store like Publix. I stockpile. I have an entire list of price points for all the grocery items I buy. When something falls within what I have determined to be a very good price, I stock up on it. Going with the cereal example, my price point on that was always $1 a box for years. With the rising costs of groceries, it is now between $1.25 and $1.50 a box. So when cereal combined with a sale and a coupon falls within that price range, I may buy 100 boxes at a time. My $1.25 – $1.50 a box price point is cheaper than my Aldi ever has cereal priced. Produce coupons are very rare, which is so unfortunate. I know that some have good luck writing to specific brands and requesting coupons. Sometimes they are even coupons for free products. I have also had good luck asking them at the produce department for deli counter etc. if they have anythings available at reduced prices. Also heading to these counters right before they close can also score you some deals as they often sell things that they have to throw out at the end of the day at greatly reduced prices. Growing as much produce as you can also helps. Teresa, I’m not sure where you live but where we are in the summer and fall there are farmers markets which offer really really good prices on organic fruits and veggies. We are an hour away from a large city that even has a farmers market in the winter. I was there yesterday and it had a large amount of veggies available. We are also blessed to be in an area that has access to farmers who will make deals with us for whole, halves, or quarters of beef, or pork or should we want it goats or sheep. Maybe that’s something that would help you out as well. We have always been able to find grass fed antibiotic free meat and have it processed ourselves or they will have it done for us for much less than the groceries charge and fresh is always better. You are so right about that. We are blessed to have such a stand right up the street. We have also split a cow with family before, and the taste certainly has no comparison. Thank you so much for the tips! NO To dented cans! This can be a serious botulism risk aka severe food poisioning. WHEN A CAN IS COMPROMISED it is not safe to eat. . . I stopped reading this article when i got to this. Yikes! You would think they would have some sort of guidelines against selling things that aren’t safe. Sounds like it is definitely worth asking about and looking into before purchasing. I certainly don’t want to be a part of causing harm to anyone. Thanks for taking the time to bring this to readers’ attention! Some really good tips and I have to say I love Ibotta and Shopkick is pretty good if I remember it while I am in stores. I didn’t realize I already do most of these tips another good money saving tip is to use Walmart’s Savings Catcher when shopping there. While I may not shop there a whole lot and spend as much as some there within a year or so I’ve saved over 50 dollars. Anything is worth it! All those little savings really add up in a year, don’t they? Great ideas. If only I lived in a place that offered coupons, credit cards, store gas stations,…. shoot! That is a bummer! Hopefully you are able to take advantage of a few of the other things! Kroger will sometimes have coupons for $2.00 off produce if you buy $10.00 worth. Check your sales papers and mail. Yes!!! Great tips. The perimeter or the back pages of ads especially can be a gold mine at times! I would really love to see bloggers focus on saving on groceries without using places like Aldi. Unfortunately we are in a rural area and we only have Safeway, Grocery Outlet, Dollar Store, and Walmart. Even so, the prices are nowhere compared to what people are paying in other areas. Just a suggestion of a possible challenge/future post. It would be nice to see ways that people can feed their family within a reasonable budget without the big discount chains. Grocery Outlet has discounts, but at least more than half of what they offer costs the same at the regular grocery store. I agree with the person above who mentioned dealing with local farms. 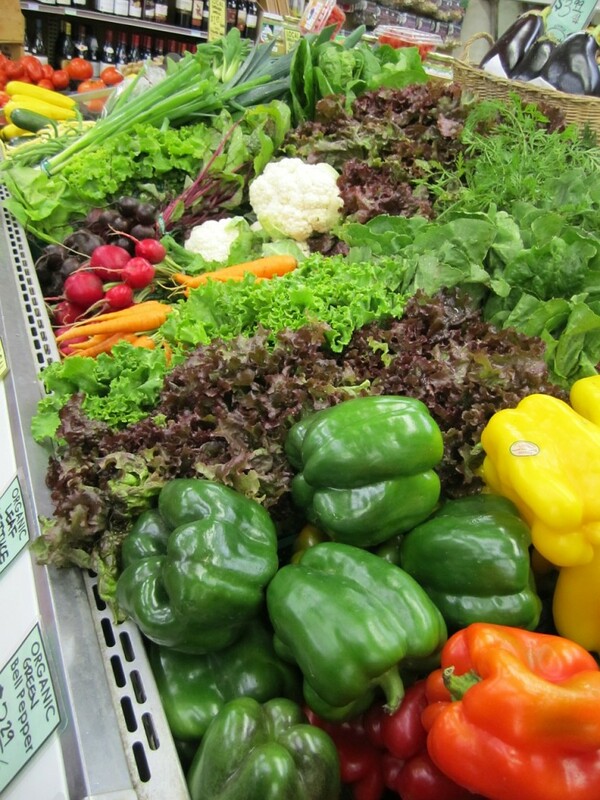 I have been getting my produce this month for $1/lb for organic fruits and cucumbers 3/$1. I want to try the half a cow next year to see how much we can save there. Meat is ridiculously expensive where I am at. Hi Karen! I totally agree. I hope there are bloggers who can focus on that. This isn’t something that I’m able to write about because this is not what I deal with. For me, I can only share the things that I personally experience so that I can write in an authentic way. I have heard good things about people who buy portions of cows so that seems like an excellent place to start.